Although night vision technology isn’t available in the form of contact lenses just yet, it may be coming our way in the near future. A recent discovery by Dr. Zhaohui Zhong and his associates in computer and electrical engineering has made it possible for them to combine extremely thin graphene layers with an insulator to detect infrared in its full spectrum and see ultraviolet and visible light. When this technology does become available, your Traverse City, MI optometrists will be able to supply you with the necessary information to obtain these amazing vision enhancements. Infared scopes and goggles are already successfully used by hunters, soldiers, and even law enforcement officers. However, having this technology available in a much smaller and use-friendly form has great potential. It may be used for everything from evening and nighttime sports and activities to hunting and camping to general safety. 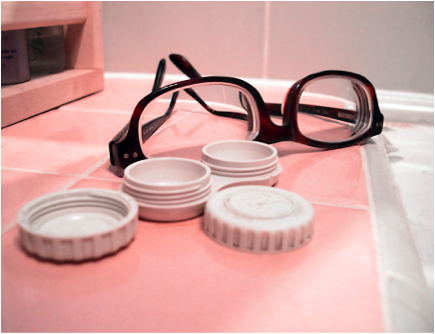 Imagine your contact lenses able to correct your vision and allow you to see well regardless of the time of day. What if your contacts could also adjust to bright daylight by filtering out UV rays while at the same time enabling night vision during dark hours with infrared technology? It is possible that this great advancement will be available soon, and the best place to find out more will be through your Traverse City, MI optometrists. This visual enhancement could be of great benefit for those unable to see well enough to drive or function after dark. Imagine how much nicer it would be to take a road trip at night in unlit rural areas with the help of night vision contacts. This amazing technology will make the world of visual correction even better. The future of vision enhancement technology is exciting, but don’t neglect the present. If you haven’t seen your Traverse City optometrist in the last year, call Traverse Vision to schedule an appointment today. While you receive your comprehensive eye exam to identify any issues with your vision and cardiovascular health we can discuss more fun applications for night vision contacts – like finding your keys in a dark parking lot, or midnight summer tag. The Traverse City optometrists at Traverse Vision look forward to seeing you soon.